Fancy a more comfortable C650 GT scooter? Check out this seat from Corbin. While BMW has branched out a bit lately into the naked bike and supersport markets, for years they were known for making bikes that went the distance. And now, Corbin has come out with a seat that will help people who own Beemer scooters put down miles. 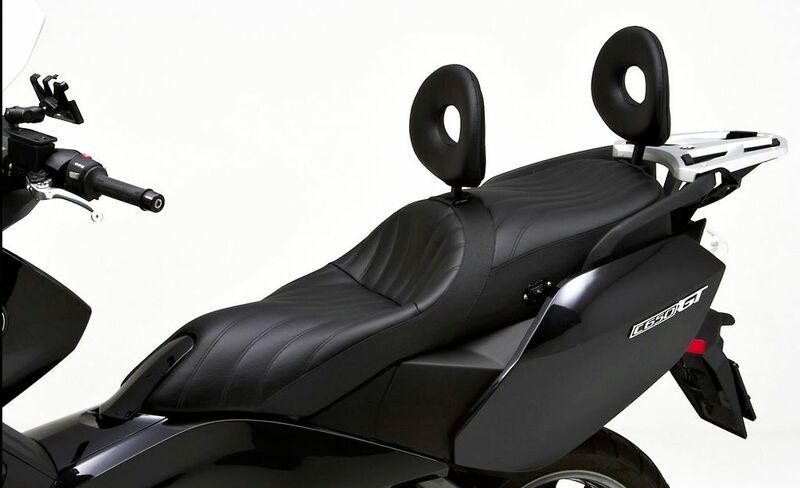 The new Dual Saddle seat for the C650 GT maxi scooter (made out of leather) is designed to provide lots of lower back support and give you a relaxed riding position, while stopping you from sliding around. And, it comes with built-in heaters as well (controlled by your scooter’s handlebar switches, and a switch on the passenger seat), so you can keep your buns toasty while touring. It retails for around $800 in the US in this format. But, if you’re feeling especially flush, you can add Corbin’s Ovaltec back rests ($229) and a glove box that attaches to the rear backrest ($359). For more information, check out their site.